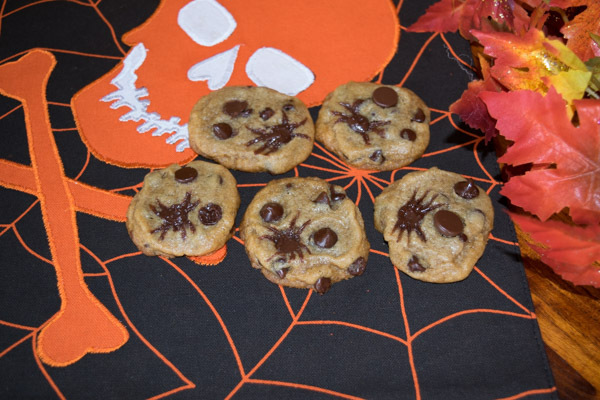 Images of “spider” cookies have been floating around Pinterest so we decided to give them a try. 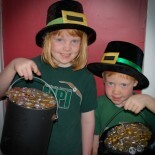 They were tricker than we thought and might be frustrating for kids to try, but they sure will enjoy gobbling them up! They would be cute arranged on a plate for a Halloween party. 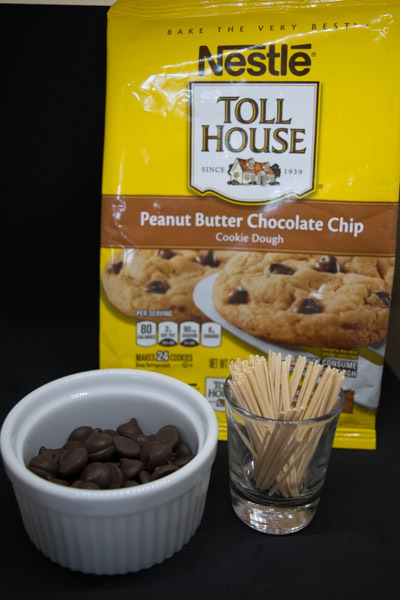 Use your favorite chocolate chip cookie mix or even prepackaged dough from the refrigerated section of the store. Before baking, place a chocolate chip, pointy side down, on top of each cookie. 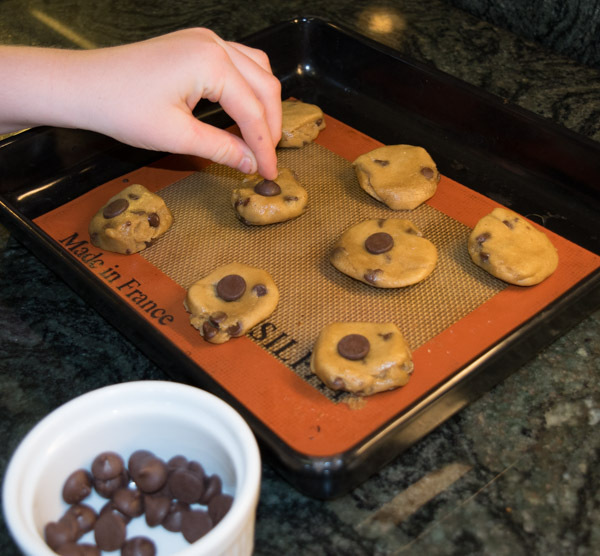 While the cookies bake, melt some chocolate chips in the microwave. We put 1/2 c. chocolate chips in a glass bowl and microwaved on low for 30 second then took them out and stirred them. When the cookies come out of the oven, use a toothpick to draw some melty chocolate in spider leg formation: four legs pointing out front, and four pointing towards the back. Tip: it does take a little practice! We also tried spooning the melted chocolate into a zip loc bag and snipping a tiny hole in the corner to pipe the chocolate out. This worked as well. 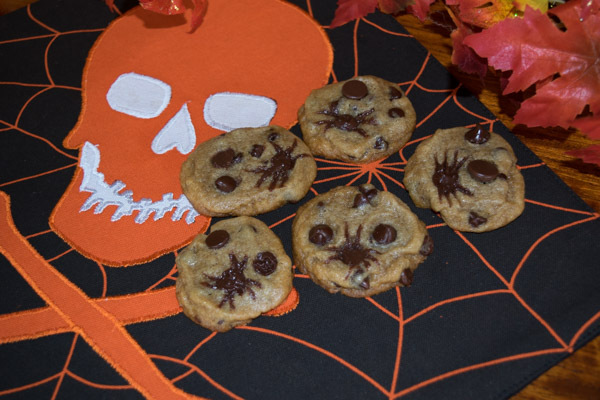 This entry was posted on October 8, 2015 by mdaucello in Halloween, Holidays, Recipes and tagged chips, chocolate, cookies, Halloween, spider, treat.